This photograph shows the junction of the High Street, Guildhall Street and Cross Wynd. The Woolworth store just past the junction on the right seems to be the main attraction on this wet day in the early 1950’s. The sign post on the lamp post towards the toilets in Queen Anne Street has the quaint description of them as ‘Toilet Rooms’. As can be seen on the photograph there was two-way traffic on the High Street at that time. Love seeing these photos, brings back so many memories . Remember cruising up the high street with my first car lol. I remember Hepworths, was still going into the 80s. My dad worked in Hepworths for years, the centre of the world!! Would walk down the street with my dad(johnny)and it seemed like everyone in the world knew and greeted him! 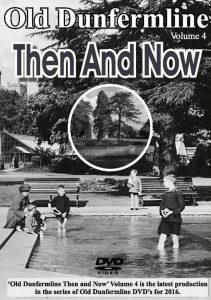 Sixty years ago, and it’s still raining!! Seriously it’s great to see the old Dunfermline and how busy it always was!! When in Dunfermline ,as a young teenager , I did regularly visit its High Street and remember it well. As an older teenager my friends and I went dancing to ” Dunfermline Palais ,Kirkcaldy Burma ,Cowdenbeath Palais,and Kirkcaldy Ice Rink ,…..no one had a car but bus travel got us everywhere. What is tragic today is the destruction of the Old Dunfermline ,so familiar ,loved and remembered by all older people !!! 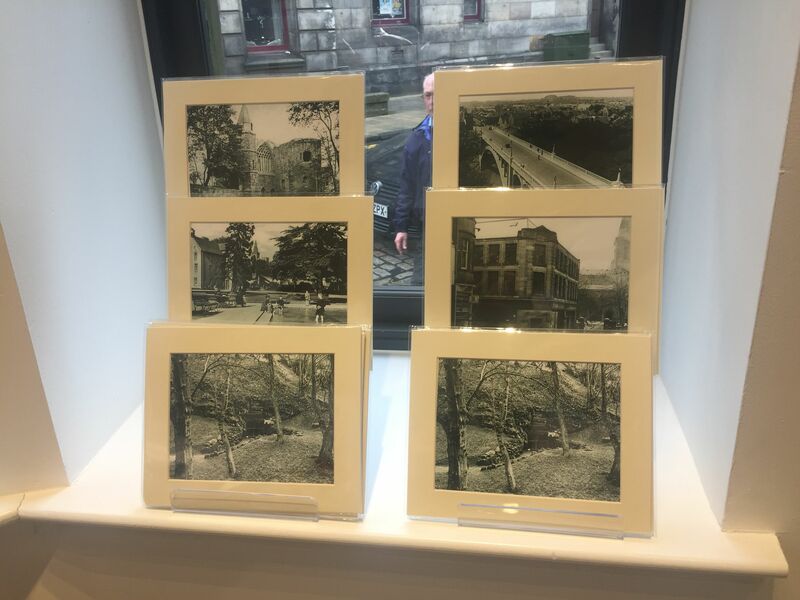 I visited Dunfermline many times from 2004 to 2008 when I returned to reside in Fife ….I abhorred the loss of lovely ,historical buildings in Central Dunfermline by faceless,horrible concrete structures ?!!!??? Does that shop say Hepworths, did it later become Woolworths? I remember that. Walked with Nan every Sunday to Church. Often went to gym at the Carnegie Baths and started swimming there from the age of four. 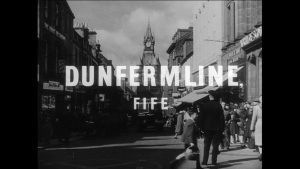 Left Dunfermline in 1949. Often walked from Milesmark to Hospital Hill. In ways very different from now and yet so much the same. Remember going to the auctions with my dad. I had my ‘crombie’ coat made to measure in Hepworth’s in 1970. Also the Royal Bank across the road. I made the stainless steel gates for the entrance in 1973. Fond memories. I was a Saturday girl in Trueform shoe shop across and doon a bit fae Woolies think it is where the salvation army shop is noo. I remember the hot salted peanuts from woolies at the bottom of the escaltor. No sign of the Mercat Cross,in the picture,Clydesdale bank used to be on corner of Randolph Street/High Street.Nationa CommercialBank was where McDonalds is now,Royal Hotel stood next to Wetherspoons. Dad used to work at Hepworths, many many moons ago…. The entrance on the right side of woolies is barber shop upstairs my dad trained as a barber inn there . I remember it well, loved Woolworth going to the biscuit counter and asking for a penny worth of broken biscuits. There was a lovely lady called Lottie who served there. My sister worked there for years. Bella Bradley…great memories. From this view, turn right up Crosswynd, immediately on your right… Giacomo’s. Many memories of this everlasting cafe/restaurant. Loved it! !